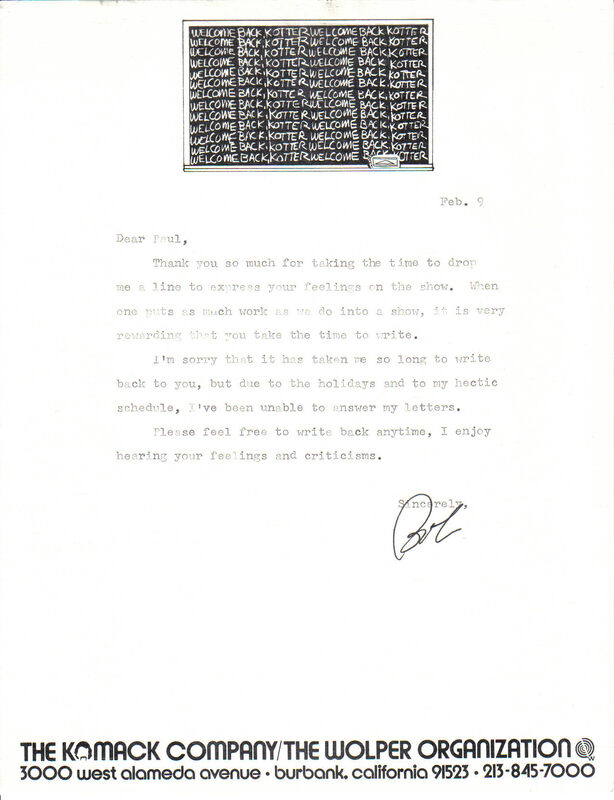 From the letterhead used by “Welcome Back, Kotter” in the 1970s. The sitcom about a man who becomes a teacher in his old high school premiered in September 1975 on ABC and ran for 4 seasons. It also made stars out of Gabe Kaplan and John Travolta. It was that part of his stand-up act that drew the most attention and allowed Gabe Kaplan (along with Alan Sacks) to create a sitcom based on his high school experiences. The premise had Gabe Kotter (once a remedial student or “sweathog”) return to teach the current “sweathogs” at his old high school. And it became a hit. 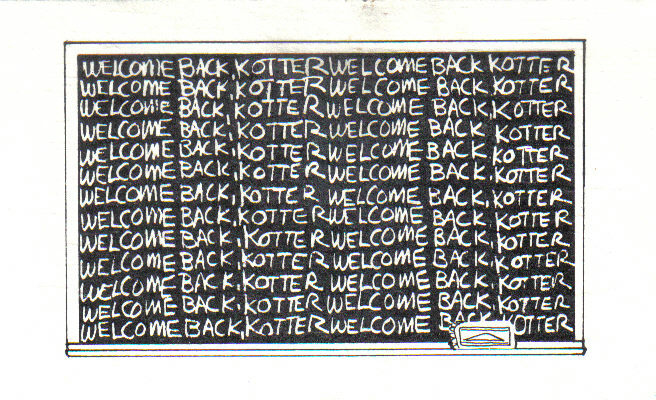 During the time “Welcome Back, Kotter” was a hit show, I was attending a real high school in Brooklyn. And since Gabe Kaplan was actually from Brooklyn a friend and I decided we should interview his parents for our school newspaper. We looked in the phone book and found a listing for Kaplan in the correct neighborhood. My friend called and did the talking. 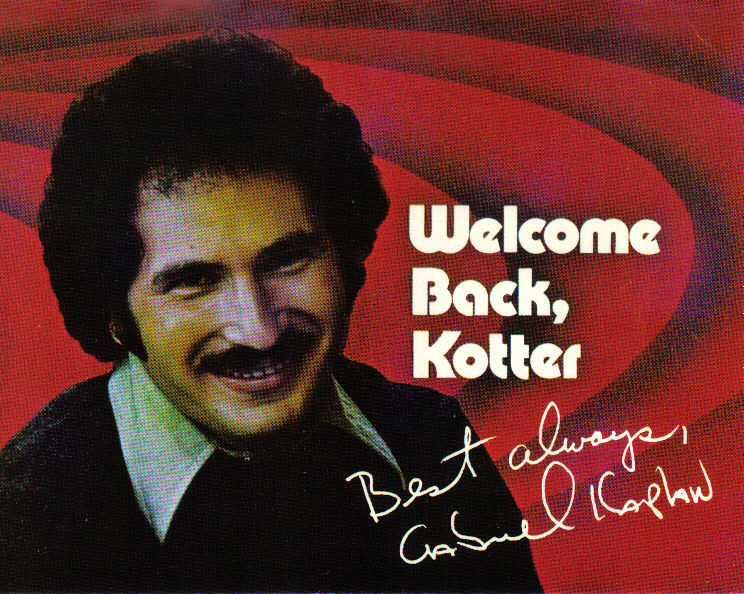 Gabe Kaplan’s mother agreed to let us come to their home to interview them. She asked us to call back the following week to set a date. When we called again Mrs. Kaplan said Gabe never heard of our high school and didn’t think it was a real school. So he told her not to do the interview, and that was the end of it. Months, maybe years, later I saw Gabe Kaplan on a talk show discussing fame. 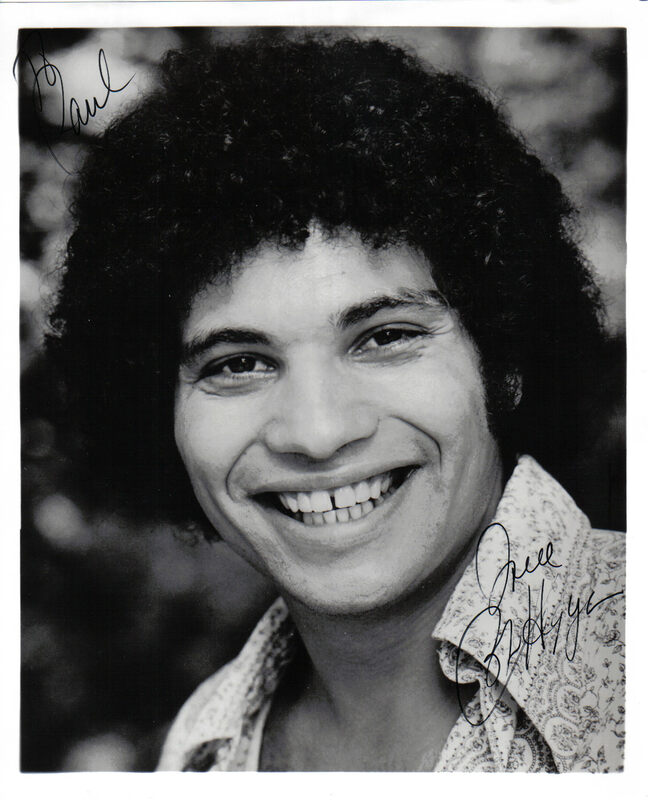 He said that when “Welcome Back, Kotter” became a hit people would call his parents pretending to be from phony high schools just to score an interview. I always wondered if he meant us. For the record, we were real, our high school was real, and the interview request was real. Our school — Edward R. Murrow High School — was brand new and in just its second year of existence. That may be why Kaplan (out in Hollywood) had never heard of it. And I suppose “Edward R. Murrow” would’ve been a great name to use for a made-up school. 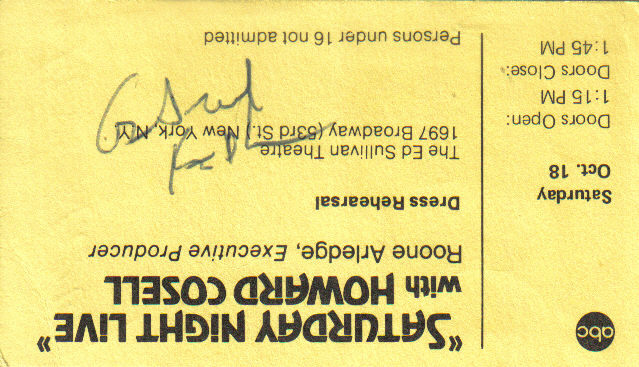 Gabriel Kaplan autograph signed outside the Ed Sullivan Theater on October 18, 1975. After “Welcome Back, Kotter” Kaplan starred in several films and gave sitcoms one more try with “Lewis & Clark” (1981-82). His next act led him to the financial markets and then professional poker. Since the late 1970s Gabe Kaplan has been a champion poker player participating in the World Poker Tour, the World Series of Poker, and winning the Super Bowl of Poker Main Event in 1980. Kaplan has earned more than $1-million playing poker professionally. He has also been a poker TV commentator, most notably for 6 seasons on “High Stakes Poker” on GSN. 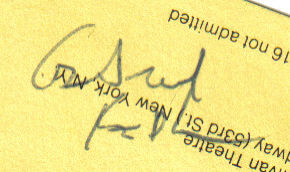 Close-up of Gabriel Kaplan’s autograph. Oh… and Happy Birthday Gabe.